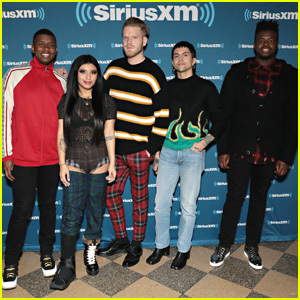 Pentatonix Host Private Christmas Concert at SiriusXM in NYC | Kevin Olusola, Kirstin Maldonado, Matt Sallee, Mitch Grassi, Pentatonix, Scott Hoying | Just Jared Jr.
Pentatonix pose for a pic ahead of their private concert at SiriusXM on Thursday night (November 29) in New York City. 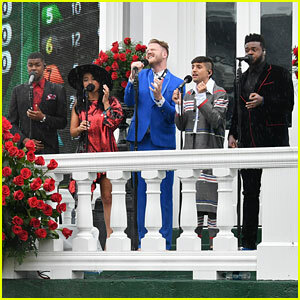 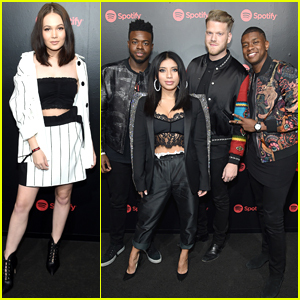 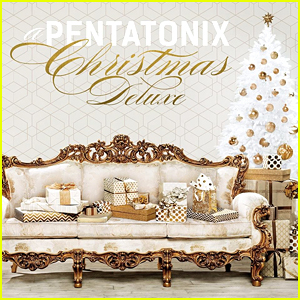 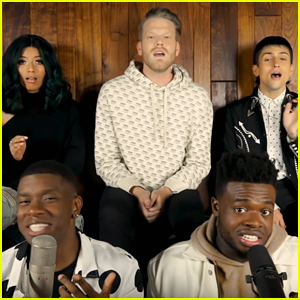 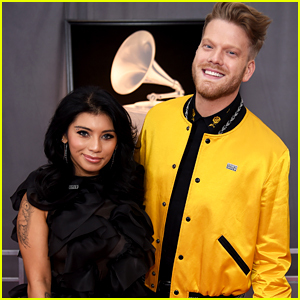 Kevin Olusola, Matt Sallee, Mitch Grassi, Scott Hoying, and Kirstin Maldonado put on a show to celebrate the holiday season, plus promote their new Christmas tour and album, Christmas Is Here! 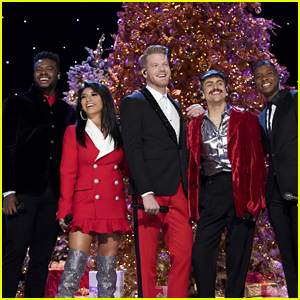 If you missed it, Pentatonix were also performers at the 86th Annual Rockefeller Center Christmas Tree Lighting Ceremony at Rockefeller Center just the day before. 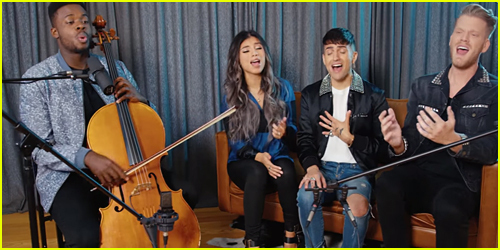 You can also check out their official video for “Sweater Weather”, a new original song from their new albm, below!